Women’s Spaces Radio Show with CoProducer and Host Elaine B. Holtz and Co-Producer Kenneth E. Norton on their motivation and collaboration to present the show Women’s Spaces, broadcast via KBBF-FM 89.1 on 12/18/17, has been uploaded to the web archives. 1. We, Elaine B. Holtz and Kenneth E. Norton, interview ourselves as the Producers of the Women’s Spaces Show to reveal a bit more about about what motivates us in putting the show together. As an exception to featuring only women guests on Women’s Spaces and starting a tradition on this last show of the year, Elaine interviews Ken and then Ken Elaine about our backgrounds, challenges and inspirations on our life journey apart and together. Like the Yin and Yang symbol, there is a mix of our lives in this show. Since Elaine is the voice of Women’s Spaces we will provide a bit more time in the interview of Ken, whose voice on the show has been confined to “Good Morning,” until today. Ken provides the technical expertise for the broadcast, the archiving of the shows on this website, and collaboration on producing the show with the “still small voice” of conscience in mind. Ken was especially influenced by his mentor William Hermanns, and recounts his first meeting with him. 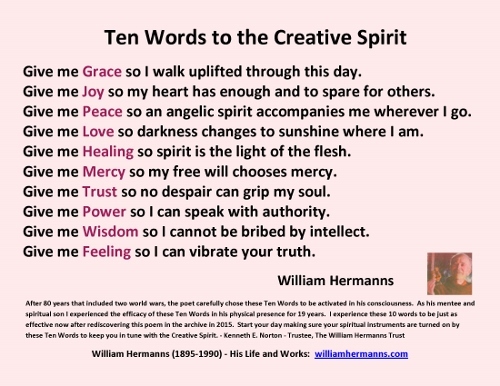 Ken also shares his mentor’s Ten Words to the Creative Spirit that for him act as his Soul’s operations panel, and Ken feels that no Soul should be without these Ten Words, and no Soulcraft without these ten functions. 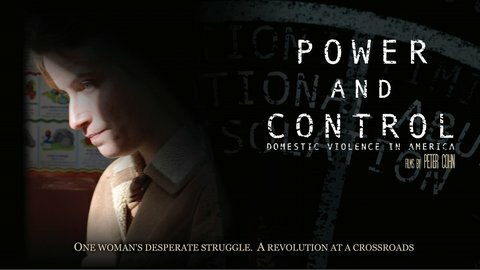 Elaine recounts some experiences that gave her the courage to voice her concerns on women and peace issues that eventually led to her radio show.